If you consider investing in digital currencies, then you probably know there are a lot of positive and negative aspects to be aware of. The key is to understand exactly what the pros and cons are so that you can minimize the risks and maximize the potential benefits. The main risks of the crypto market are related to the security issues and a high volatility of currencies. 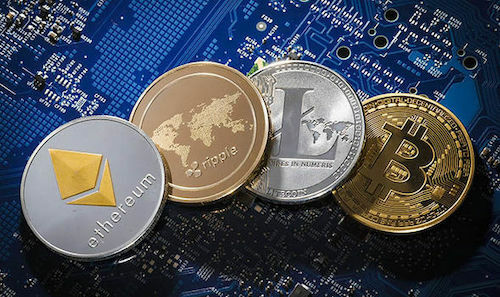 Given that crypto is not much regulated nowadays, it’s essential to keep track of the news and security measures, especially while choosing a cryptocurrency exchange. Since cryptocurrencies are virtual and decentralized assets, you won’t have traditional institutions backing them. You have to keep in mind that you are entirely responsible for the safety of your coins. Even though the blockchain technology that powers all cryptos is known for its security advantages, hackers are a major concern. Cybersecurity specialists work hard to confront cybercriminals who often try to steal digital assets from users and crypto exchanges. There are a lot of tools, but as hacking strategies evolve along with technological development, none of them is 100% invulnerable. For example, a hacker can make a replica of a reputable exchange and trick people by sending a link leading to the fake site. Another major risk comes from the volatility of most cryptocurrencies. Prices can drop radically just overnight. You can never be sure what your assets will be worth in two weeks. It makes the process of trading and investing much harder. You have to put more effort into tracking news and analyzing prices. While the cryptocurrency market could stabilize eventually, it is unlikely that we will see this happen in near future. Many experts are worried that Bitcoin is a bubble that could pop. If the most important cryptocurrencies did crash, it would have far-reaching effects on all the others. Regulatory intervention is another thing to consider. While some governments have embraced digital currencies, others have pushed regulations. The world of crypto holds a lot of risks, but the benefits make up for them. Digital currencies truly represent an absolutely new approach to money transaction and data storages, which may be beneficial for every industry and domain. Cryptocurrency has a practical value. Transactions are a lot faster and simpler and often less expensive than with fiats. Especially if you are making cross-border payments. Cryptocurrencies experience fluctuations, but they are not that much affected by exchange rates. Security is both a risk and a benefit of crypto. By eliminating the third party, digital currencies give you more control over the security of your assets. You do not have to worry about losing money because of a bank’s error. One of the worst parts of fiat currency is that they can be counterfeited. Governments try to keep this from happening, but it is still a common practice. Digital currency cannot be counterfeited, which is a huge advantage. Transparency is another major benefit. You see exactly where the money goes and can track all your transactions. Cryptocurrency transactions don’t require providing personal information. Cryptos are definitely more anonymous than traditional currencies. With fiats, you have to worry about your financial history being documented by the banks. In worst-case scenarios, your identity can be stolen. Any money that goes through a third party like banks doesn’t really belong to you. What happens if a financial institution becomes bankrupt or loses your money? By avoiding intermediaries, cryptocurrency allows you to be a fully legitimate owner of your funds. This comes with more responsibility but also more freedom. Of course, if you store your assets at a cryptocurrency exchange, it works similarly to banks. This is the question of the majority of exchanges being centralized despite the very essence of crypto. There are more than a thousand digital currencies you can choose from. While fiats are tied to your location, digital currencies can be used everywhere. Also, each coin has been created for a specific purpose, which means there is a wide range of application options. Cryptocurrencies have a great usage potential outside transactions and payments. A lot of businesses can benefit from the blockchain technology that stands behind every crypto. There are also specific innovations linked to some coins, like smart contracts introduced by the Ethereum network, which could enhance the way people deal with documentation. Some coins are also used to help developers. When it comes to cryptocurrency, many people argue over risks and benefits. This indicates that the interest in crypto is growing, as well as the number of those who want to get involved. As this technology is still not widely established and accepted, it’s hard to say for sure what carries more weight – potential risks or practical benefits. In any case, it depends on what purpose you have in mind for using crypto.